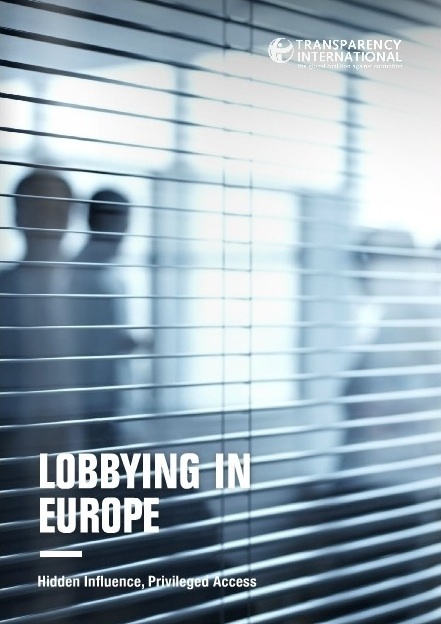 Transparency International has just delivered his annual report 2015 “Lobbying in Europe”. The lack of proper control on lobbying in 19 EU countries has been quantified and mapped, with a bird-eye-view in Libération, April 16. In the article, an estimate of 120 million € per year (Corporate Europe Observatory source) have been spent to pay 1700 lobbyists in Brussels. The Michel Serres Institute acknowledges these findings and considers that the lobbying system is an easy to grasp trend of the present time economic “model”, fueling as such the unbridled competition ideology and practice. We have analyzed the competition syndrome in earlier News or documents (1, 2). Curing the ills of bad lobbying is a grand endeavor of our public governance landscape and practice : from revolving doors to lack of traceability and ignored general interest, the urgency is everywhere. We embrace the report guidelines and add the following improvement considering that the public interest deserves coherent and consistent scientific evidence-based decision making. Taxing the lobbyists by making recording compulsory and according to the corresponding allocated amount of resources can direct substantial funding to support and accelerate research providing the required scientific evidence. Institutions such as the European Research Council and Future Earth are potential and qualified recipients.